Dark and cold, the cabin offered shelter from the growing storm my small tent couldn’t. It was now spring but a cold front had returned a touch of winter. Fumbling in my backpack, I found a candle and some matches. At least I would have light. 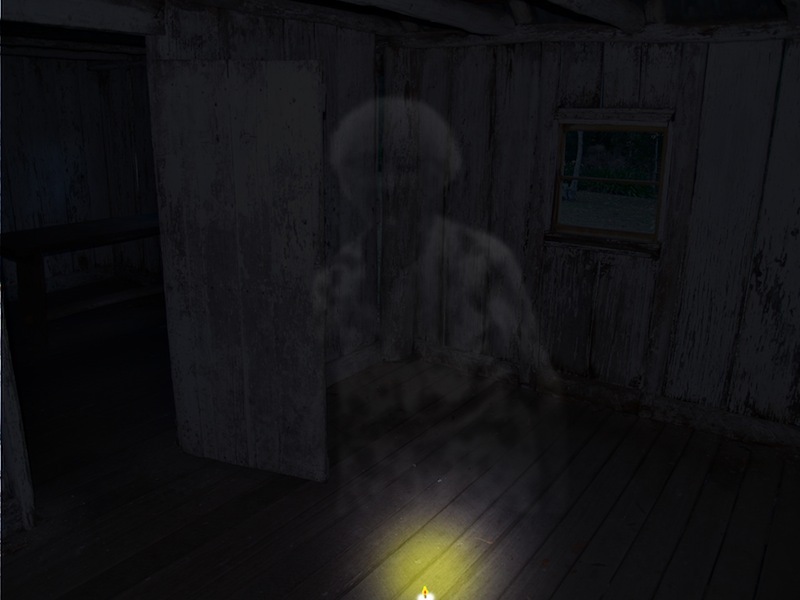 Flickering dimly, the candlelight caste shadows around the old cabin. I imagined the lives of those who had once called the cabin home, the shadows their spirits lingering. I woke with a start, the candle almost gone but there was still enough light to see a presence before it faded.